So here are 10 Reasons (not labeled) to use foam protectors made with foam and PVC fabric, but by the end you may have found many more yourself! 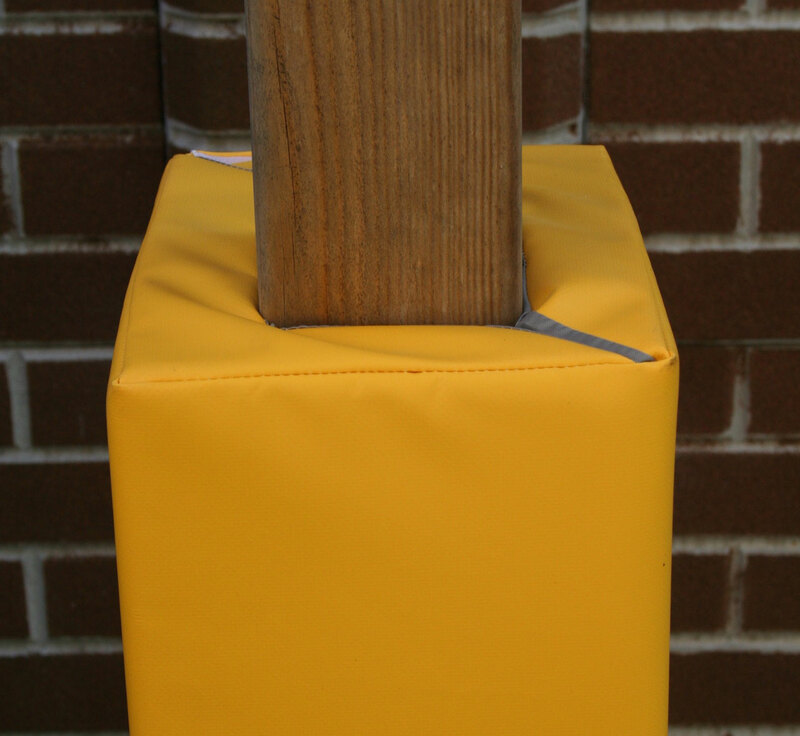 Foam Protectors are also known as safety padding, post protectors, pole protection and help protect us from accidental injuries with the added bonus of protecting property where fitted. In the following post you’ll see why using foam and PVC fabric protection to reduce risk of injury is the best solution in most instances. Why are these the best materials to use for protecting people if they accidentally walk into a post, low beam or other potential hazard? I’ll get to that in a moment. The simple truth is that a knock to the head, for instance, can be damaging to anyone. The harder the knock the more potential there is for lasting damage! Whats the answer? Wrap everyone up in cotton wool? Of course not! Take safer precautions. Absolutely! If I stop one accident from happening, then I feel great about that. I know that I’ve prevented thousands of potential accidents from happening all over the UK in schools, NHS, Met Police, Equestrian centres, Sports centres and more, so I feel great every single day! But it isn’t just me, it’s all of my customers too as they made the right move for me to supply them! How far do we take this though? Let’s say a child is running and runs into a post without any post protection in two separate incidents. Both impacts are at the same speed. The first time the impact is on their arm and the second time it’s their head, what’s going to suffer most. I don’t think I need to answer that! So, to the materials. The best solution is a high impact foam covered in a PVC fabric material. You can get foam protectors in other forms, but they won’t be as effective. Plastic protectors, for instance, are more suited to machinery hitting a post such as a fork lift. Not much help if a person walks into it! That said, I’ve provided my post protectors to car showrooms to protect cars getting scratched or dented by indoor and outdoor posts! I’ve come across wrap around pads before (slight shudder), but more on those later. I’ve even seen bits of cloth and carpet used which would offer no protection whatsoever. The worst though has got to be black and yellow warning tape. I can’t see protection from that at all. A warning, yes, but zero protection. The best foam to use is a closed cell high impact foam. If the foam is to soft a solid impact on the post could still be felt, especially if the force of impact was heavy. So a high impact foam that will offer protection, absorb most of the impact and at the same time feel soft is by far the best solution. A note of warning, and certainly worth a mention: Foam will deteriorate over time. So even if your foam protectors are barely called into action they will degrade eventually, just not so quickly. How long could that take? That’ll depend on the grade of foam used. There’s certainly no point in buying post protection for the product to fall apart within a year. It’ll also depend on how it’s used, how it’s stored, where it’s placed and how it’s treated. I’ve seen foam protectors outside that were 3 years old and still looking good. The PVC material fabric used to cover and protect the foam should be hard wearing, waterproof and offer a rip stop solution. Buying products with the right PVC fabric will add to the longevity. Next the PVC fabric pieces are machine sewn together to produce the final shape. During this time the foam is cut. The foam is then ‘fitted’ into the PVC shape until it is correctly inserted. The final stage is to ‘close’ the product up. Voila! It’s ready to be sent to you! They might… or they won’t. And if they don’t then someone is going to have some serious explaining to do. Now clearly you can’t cover everything (if you had to I’d be a billionaire), but as I eluded to at the start, taking safe precautions is extremely important! Why? A low ceiling beam is something that is in the way which will lead to an unfortunate and potentially nasty accident if it hasn’t already. On the other hand a nicely laid and flat concrete path is not something that’s in the way. If someone accidentally falls over on it then it’s no ones fault. Yes, someone hitting their head on a low ceiling beam can be their own fault, but it was an accident that would have been avoided had there been adequate protection. 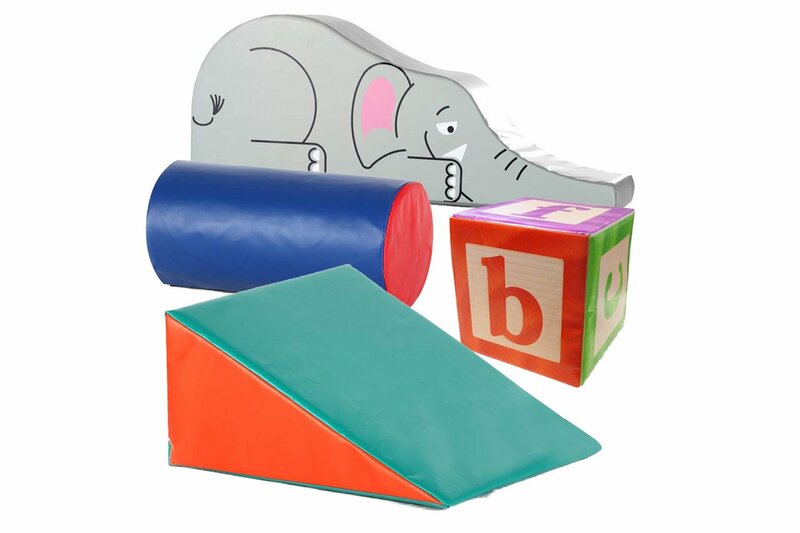 A large percentage of my products are supplied to schools around the UK and a percentage of those come after a child has already had a collision with a pole outside. I know a lot of us grew up and were happy to show our scars, scrapes and bruises. A bump on the head was just that! But in todays society and with the knowledge we have we are all to aware of the potential hidden injuries after knocks. Whilst it’s horrible to see adults get hurt in the workplace it’s so much worse when it’s children. So the question of Peace of mind versus risk is a no brainer. If there is the potential for an accident whether it’s in a school, warehouse, factory… or anywhere then getting in touch with a supplier to discuss options is certainly worth it. At least assessing it and getting a quote for it is doing no harm. And if you talk to the right people they will undoubtedly be able to offer solutions that will work. Peace of mind far out ways the risk! If their products aren’t suitable? Well any reputable supplier will tell you so and if they can offer advice in any way then all the better. A quick example: I had a guy call me once who had a horse that didn’t like travelling in the horsebox. The horse would kick the ramp when it was closed and he was concerned his horse would injure itself. He wanted padding to soften the impact for both horse and closed ramp. I knew for a fact that PVC and foam padding wouldn’t work. A horses kick is so powerful (I know as I’ve been around horses) it would destroy the padding after a while. The solution I gave him was simple. Use a bale or two of hay and put them against the closed ramp during travel. He already had the product! I’m glad, from my perspective, that situations like that are rare or I wouldn’t have a business, but was very happy to have helped find a solution until he could help his horse settle better when in the horsebox! Obviously I don’t want everyone and his dog calling me for random things. I’m certainly no Guru and I really don’t have the answers to enlightenment! 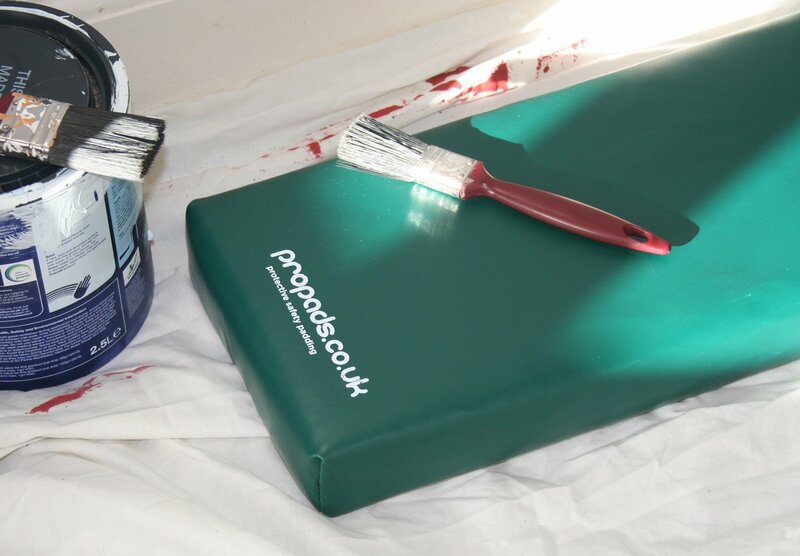 But if you have a requirement to cover an existing or potential hazard with padding then by all means get in touch. most importantly though is the huge reduction in accidents. Obviously far less accidents will occur and you’ll be in a much safer environment, giving you peace of mind. I would say that if you’re aware of any potential hazard it’s worth discussing with the person responsible for safety. Worst case is nothing is done about it, but at least you raised the concern. Best outcome for everyone is that the hazard is dealt with and covered so that accidents won’t happen. At least assessing it and getting a quote for it is doing no harm. We all want to work or play safely. We certainly don’t go out with the aim of injuring ourselves. Waiting for something to happen before doing something about it isn’t fair on anyone, least of all the person who gets injured and had no idea of the potential for injury! Getting it right first time versus buying cheap. This is a bit of a sticking point. Not all padding is the same. Some companies supply cheap soft foam, the thinnest PVC fabric available and even shoddy workmanship. I have seen some disasters in schools I have visited over the years. 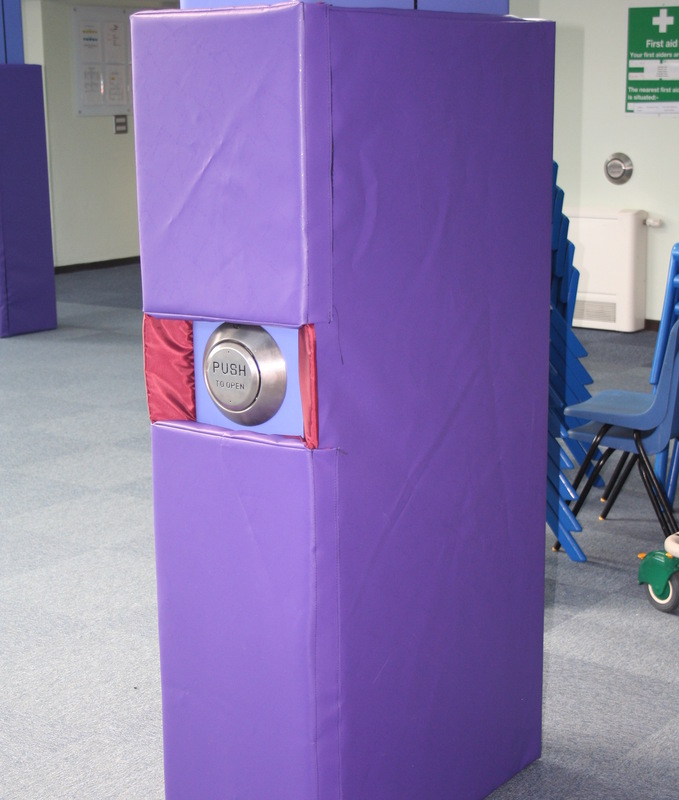 Even wrap around pads have made it onto playgrounds and into offices and warehouses. Each to her/his own, I know! But I’ve seen it all (remember the carpet). I can totally understand that some places have a limited budget, but you know as well as I do that cheap is never really the answer, unless you want short term or temporary. Wrap arounds are cheaper, but in my opinion, nasty. They aren’t fully waterproof due to the thin fabric used, the foam is very soft and when used outside they deteriorate so quickly (the reality is in order for a ‘flat’ pad to wrap around a post or other bespoke shape it needs to be flexible to do so, hence using thin soft foam). I had a customer who had to replace their wrap around pads in less than 6 months (no comeback from the supplier who had since gone bust). That was almost 2 years ago and their new improved Propads foam protectors are still going strong. Yes, paying a bit more for a far superior padding product is worth it in the long run and I would never use or offer wrap around padding, it just isn’t worth it! The best solution without a doubt is to get a proper fitted post protector! ‘Made to fit’ post protection – Why does this matter? Ok, so what’s the best solution for safety padding? Simple answer is ‘made to fit’. Your post sizes = the inside measurement of the foam protector! Let’s say your post is 8 inches by 5 inches and you want the padding to be 1.5m tall, for example. The inside measurement of the padding will be 8 inches by 5 inches (the post size) and 1.5m tall. Why do you want the padding to fit? Well, so it lasts longer. That’s what you want isn’t it? If the pad is far to loose or to tight then it will not last as long as it will quickly deteriorate. Too tight and it stretches the stitching constantly, which will fray and break. Too loose and the bottom will wear away due to movement as will the inner part of the post protector as it rubs against the post or hazard. Not only that, but if some does fall against the post and manages to put an arm out to help soften the blow an oversized pad will give the illusion they are putting their hand or arm onto something solid only to find out that’s not the case. This can, in turn, create an accident, the very thing you are trying to avoid in the first place! There’s no substitute for correctly designed and fitted post protection! What about standard size posts? Stockists who have stock of ‘standard sized foam protectors’ can only offer them to customers who have smaller or equal in size posts than that of the foam protector. This means padding that doesn’t fit correctly! Lets say 100mm x 100mm x 1m tall is the size that a stockist holds and that they have 16 different colour options for the PVC fabric (that’s what I offer anyway). The stockist holds a total of 20 of each colour. That’s 320 post protectors. 320! As I personally make to fit, and basing this on the amount of customers that I sell 100mm x 100mm x 1m tall protectors too it would take me 10 years + to sell them. Remember what I said about the foam deteriorating over time… the majority would have to be dumped… unless I sold them to anyone with posts smaller than 100mm x 100mm… not happening! I think you get the idea by now. ‘Already made’ foam protectors does not equal quality padding as the chances are your padding may not last as long as it should. Unless your post is 100mm x 100mm x 1m tall then don’t buy. Get your foam protectors made to fit every time and do not be fooled by the cheap price. You might just end up with a pad that lasts a few months. It’s no secret that the standard delivery time for quality made to measure post protectors from suppliers is 3 weeks. This can fluctuate throughout the year. For instance Feb time can be 2 weeks and August/October time can be as much as 5 weeks! This can seem a long time, but it is definitely worth it! If you are told a week or less there’s a 95% chance that’s a blatant lie which will be followed with some excuses for it not being a week. If you hear 3-4 weeks then that is 95% correct and very normal. If you had no idea about lead times for properly made foam protectors don’t think you’ll find someone who will do them in a 2 days. If on the rare chance you do then you are very lucky that they have no orders on the go! Seriously! 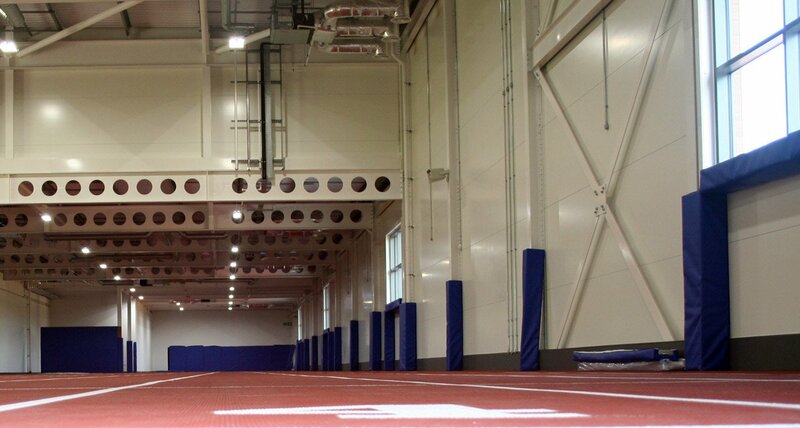 I have myself, unfortunately, left a customer disappointed once when a delivery was held up because a certain national delivery company failed miserably to find a customer address for 3 days, which was a huge sporting complex, because they couldn’t find… the huge sporting complex which was just off a main road! Things can go wrong from time to time! The Law – What’s the real story! No, not really! It’s really down to you and what you want to do. A lot of factories, companies and schools etc will cover posts with foam protectors to protect the workforce, the children and visitors. It makes for a better, much safer environment and, if required, a more colourful space with the colours to choose from. Not only that, but foam protectors help protect the property it’s attached too as well. At Propads we take orders for foam protectors from the education sector, NHS, Forces, Met Police, large and small construction companies, sports facilities, equestrian centres, the environment agency (project being completed as this is being written) and it goes on… I am personally delighted that we cover such a wide range of sectors as we get to design all sorts of wonderful padding solutions. All our products are UK manufactured, not imported from elsewhere. So although 3 to 4 weeks seems long for the industry, it’s down to how busy us and other suppliers are. I can’t speak for anyone else, but we have a simple system at Propads – first come first served. We won’t put anyones order in front of anyone elses. Trust me, if I could get them to you the next day I would, I’d get paid a lot quicker! So what should you be asking yourself? Do you need the padding as something permanent or as a short term fix? If it’s a short term fix such as a 2 day event in a hall, for example, then why not just buy the foam on its own, which we can do for you. It’ll serve the purpose. 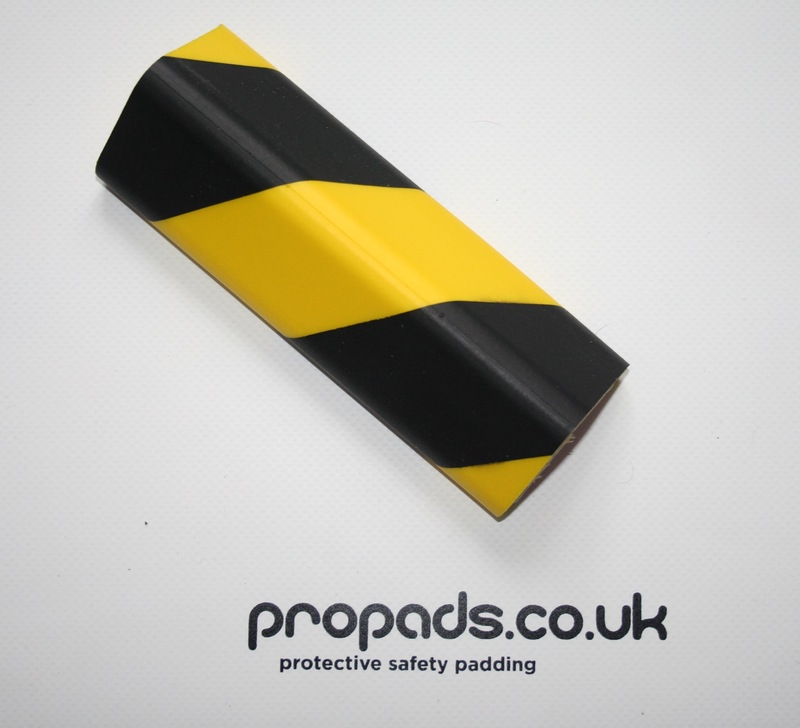 If it’s long term, for example, years, then Propads post protectors are the ultimate solution! Should I buy off the shelf pads or designed and made-to-fit padding? If you want longevity from the padding then without a doubt you’ll want made to fit. The foam will be ‘fresh’ and your pads will last for a very long time. If you want cheap and quick, then try off the shelf. They won’t last anywhere near as long and the product may well be on it’s way out as it may have been sat on a shelf for a very long time! The other cheap alternative is wrap around if you’re on shoestring budget. Someone is definitely going to hit their head on that low ceiling beam. What should I do? Tell the person in charge of safety so they are aware. The best course of action is to get it covered. NOTE: If a supplier says 1 week or less for delivery, get an email from them to back this up. Chances are your foam protectors won’t be delivered within a week, unless of course it’s a pre-made foam protector that wasn’t made to measure. Well, I really hope this has helped you out and that you have enjoyed reading this post about foam protectors! Go forth and pad things with Propads! I know the heading says 10 reasons, but I feel there are more. I hope you have seen or thought of more yourself! 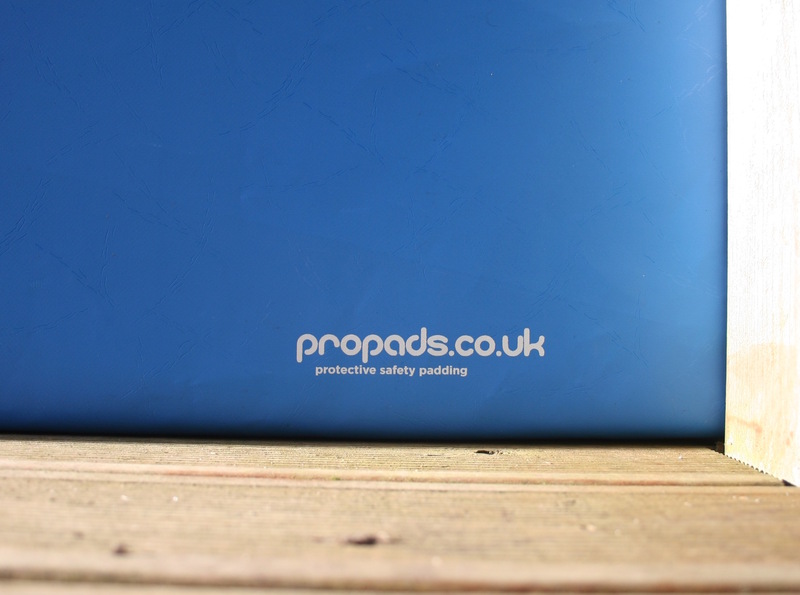 Writer: Phil Pedder-Smith, Propads founder. Please note: External links to websites other than Propads own website are a reference point for further information only and I have no association with these websites at all.